In 2005, Greubel Forsey introduced the Double Tourbillon 30° which featured one tourbillon cage completing a rotation every 60-seconds (at an angle of 30°), inside an outer cage with a four minute rotation. This was the brand’s first horological creation, and is the basis for the Double Tourbillon 30° Technique Platinum Bi-Color (pictured). 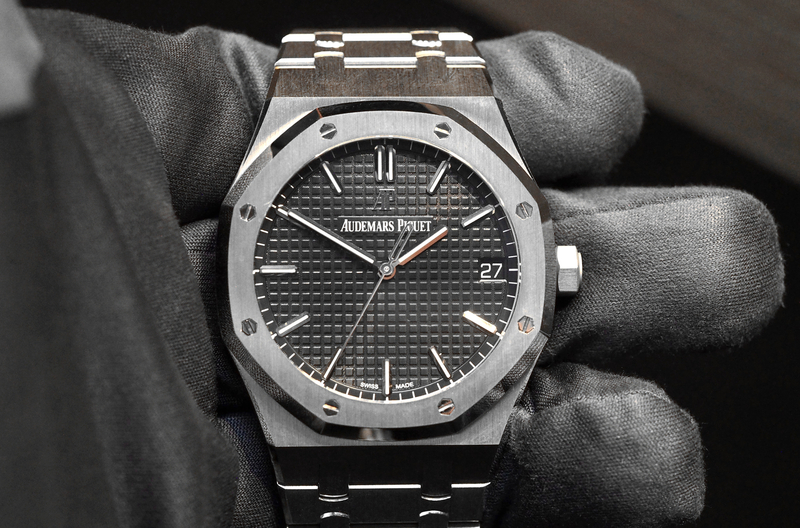 The large platinum case has a fixed, stepped bezel and measures 47.5 mm by 16.84 mm. 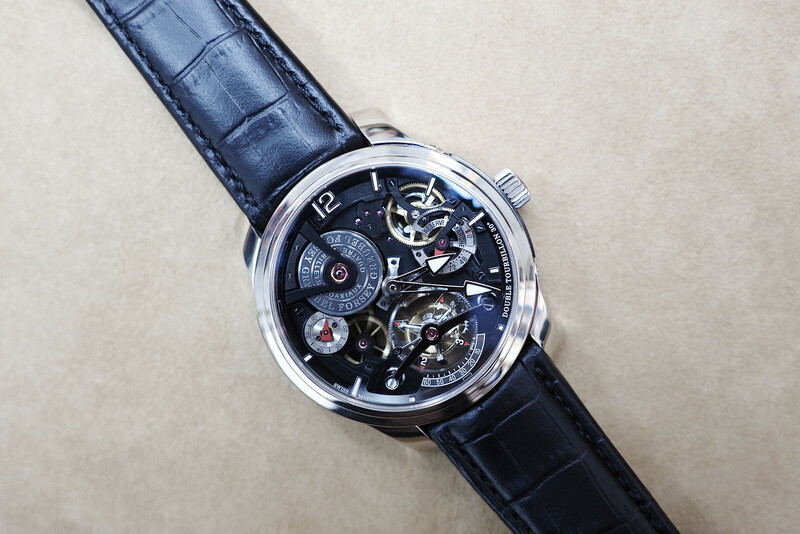 Greubel Forsey’s philosophy is engraved on black ADLC-treated plates which are screwed to the sides of the case. The central hands, which have been skeletonized and feature large arrow shaped tips with white luminous material, indicate hours and minutes. The hours are marked by indexes that are hand applied to a sapphire chapter ring. At 9 o’clock is a small seconds subsidiary display. And at 3 o’clock is a power reserve indicator. The power reserve is 120-hours, thanks to four fast-rotating coaxial mainspring barrels. 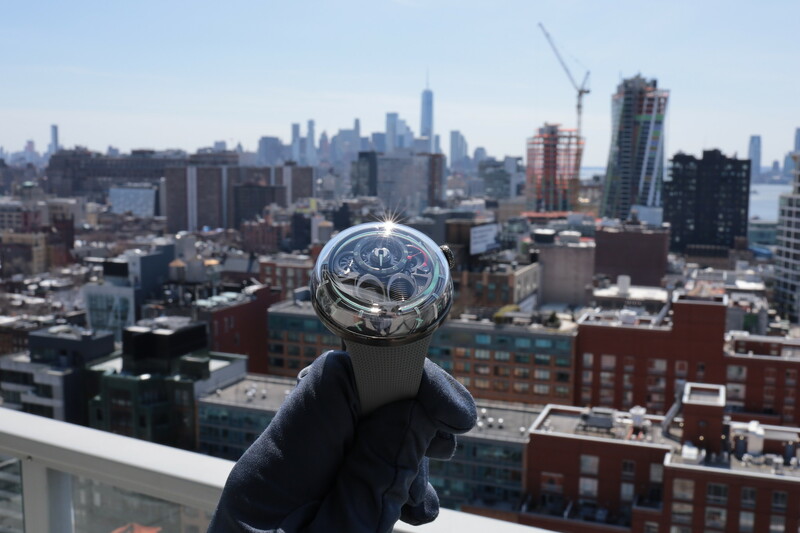 At 6 o’clock is the tourbillon, which is suspended by a large tourbillon bridge and is made up of 130 components that weigh a total of 1.22 grams. 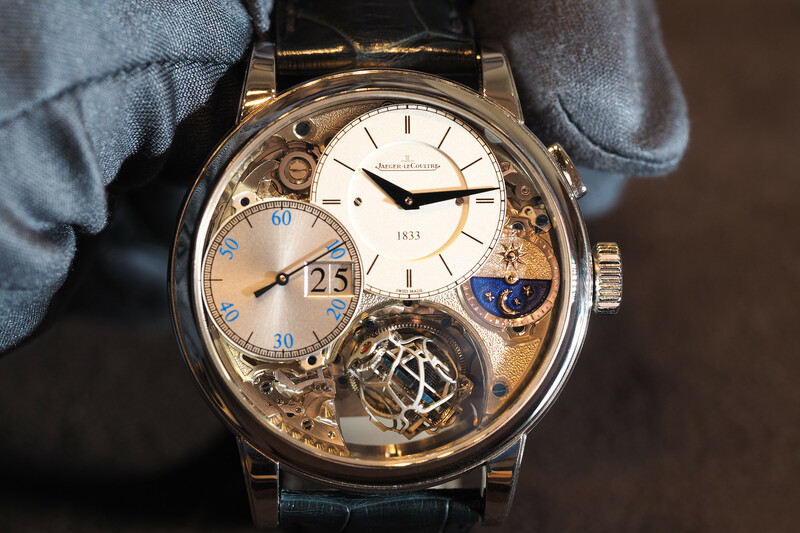 For more, visit Greubel Forsey.